Bleh. 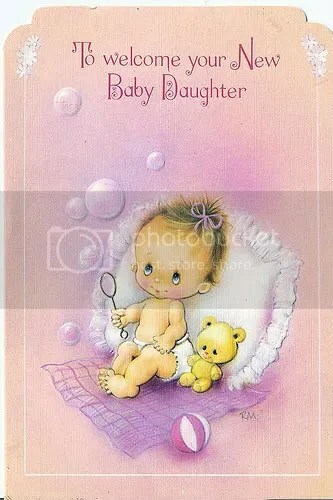 I went to a greeting card store today to buy a “Congratulations on Your New Baby!” card. I knew I would get worked up, and I did. The baby in question is an interracial girl born to a progressive couple. I’m sure you can guess the troubles I had at the store. First, as one would expect, all the cards are separated by gender. Predictably, the girl cards were all bright pink, many with sparkles and flowers, and making references to princesses, cuteness, and prettiness. The boy cards were all blue and decorated with animals or trucks or sports. So what if I didn’t want to start this baby off with an arbitrarily over-gendered card? No options except for general blank cards. However, blank cards that depicted images of children depicted only white babies. Again, I didn’t feel that was quite appropriate for a baby that will probably be read as a POC later in life. I was stymied. Greeting cards make life dumber. Write a letter of complaint and then make your own. Take your business elsewhere (like your own hands)! Oh, like taking action instead of simply complaining on my blog? WHATEVER.